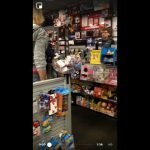 Santa Clarita, Los Angeles – A YouTube star accused of making terrorist threats and using racial slurs while harassing military members at a Marine Corps recruiting office has pleaded guilty to lesser charges. 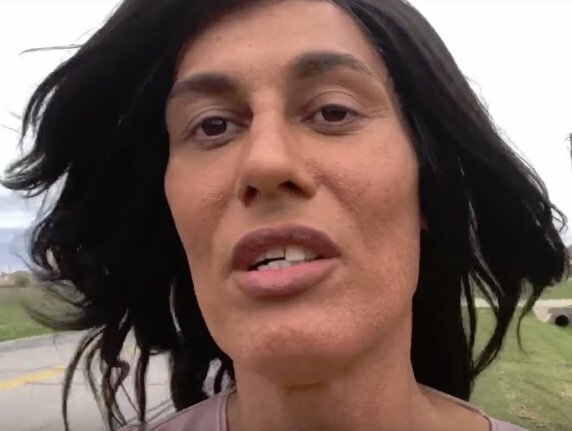 Zhoie Perez of La Mirada, California, a 45-year-old man who identifies as a woman, centers his YouTube channel on “auditing” public locations for violations of free speech. In one incident at a US Army Reserve Center in Bell, California, which he uploaded to YouTube on June 10, 2018, Mr. Perez is seen on video calling a soldier “bootlicker,” and asking viewers to trace the man’s license plate and “dox” him. Doxxing is the practice of searching for and posting online an individual’s personally identifiable information, typically for malicious purposes. Two days later, on Tuesday, June 12, 2018, Mr. Perez “audited” a Marine Corps Recruiting Office in Valencia, California. The recruiting office is situated near the food court entrance of Westfield Valencia Town Center mall. According to several witnesses, Mr. Perez made terrorist threats and yelled racial slurs at a black Marine Corps recruiter. As Mr. Perez walked away from the location, he was arrested on the felony charge of terrorizing someone and causing fear. Bail was set at $75,000, and Mr. Perez was out by midnight. In a negotiated deal, Mr. Perez pleaded no contest on December 5, 2018 to one infraction count of disturbing the peace. Four other charges against him were dismissed. Mr. Perez was ordered to pay a $100 fine and a penalty assessment. Footage has surfaced of the recently-arrested transgender free-speech “auditor” and Army veteran known as Furry Potato, as she antagonized personnel at an Army Reserve base in the greater Los Angeles area. The transgender “auditor” known as “Furry Potato” was reportedly arrested for making threats at a US Marine Recruiting Station in Valencia, California. Seen in the video “Marine Recruiting Office,” Potato is stopped by the Los Angeles County Sheriff’s Department (Santa Clarita unit), who asked if she’s okay. Local sheriff’s detectives are investigating what they believe is a hate crime committed Tuesday by a woman who was arrested on suspicion of terrorizing someone and causing fear, a felony. The incident happened late Tuesday morning near the United States Marines Corps recruiting office on Valencia Boulevard at the Westfield Valencia Town Center mall. A woman arrested in June on suspicion of terrorizing someone and causing fear, during an incident deputies initially treated as a hate crime, pleaded no contest Wednesday to a lesser offense. Zhoie Perez, 45, appeared Wednesday at the Santa Clarita Courthouse where she entered her plea. Actually, naming the antagonizing of a member of the military a “hate crime” sets a dangerous precedent. It don’t think it’s the soldier’s color that he objected to. We have to be free to be critical not only of the government and the military in general but also of individual politicians and soldiers. You weren’t present at the time of the incident, correct? Witnesses and the alleged victim tell a different story, one that includes racial abuse.